The Work Horse of the gypsum family. Designed for ulitmate versatility. 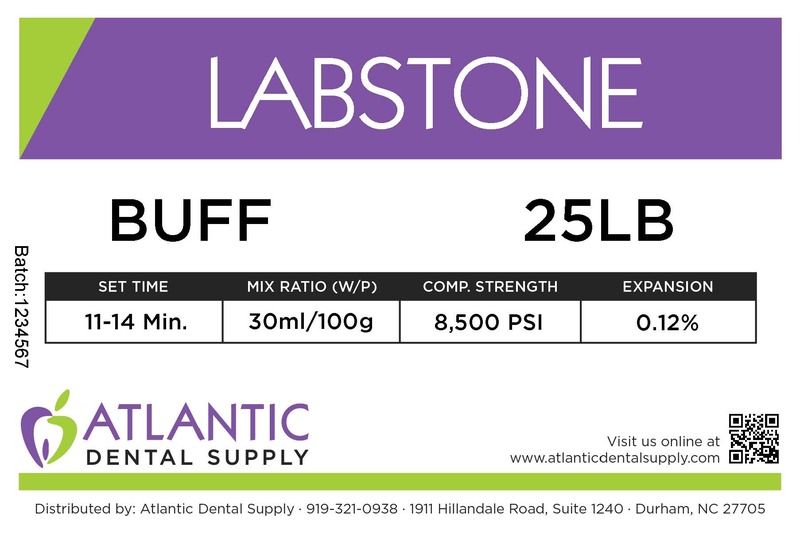 Labstone is recommended for use in models and flasking, in the production of full or partial dentures, and in basing crown and bridge models. Creamy mix, moderate compressive strength, and superior outward hardness are all characteristics of htis unique formula. 8,500 psi., 59 MPA, 11-14 min Set Time, 0.12% Expansion.